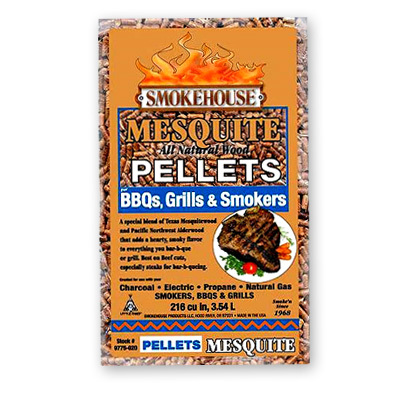 A special Blend of Texas Mesquitewood and Pacific Northwest Alderwood that adds a hearty, smoke flavor to everything you bar-b-que or grill. Best on beef cuts, especially steaks for bar-b-queing. Created for use with your charcoal, electric, propane or natural gas smokers, BBQs and grills.